Don’t move your table without preparations! Though every table is a little bit different, you can count it being anywhere from 500-1000 lbs or 225-450 kilograms. Like the handling of any other heavy home objects (pianos and refrigerators come to mind), one has to be strategic and use caution. Cognizant of our own bias, we’d care to think it takes a talented professional to design and build a high-end pool or snooker table. That said, moving one can be high stakes stuff to say the least. Pickups, deliveries, and installations are all things we’ll provide support on. For anyone with a specialty antique or family heirloom table, this is vital. It can definitely cause anxiety to think about ever needing or wanting to move your table to begin with. There’s also more to the moving process than meets the eye. After you’ve done as many moves and installs as we have, you learn the process well. Every passing move reinforces the strategies that work best and are most effective. The original location and desired position matter a heck a lot. Even the orientation and decor of the room in the new space are factors. They are not details we’ll ever overlook. Get a strategy that is both comprehensive and calming! We understand how precious tables are to you and your loved ones. We’re prepared to take every necessary precaution. A pool table’s teardown process is an involved operation. Ensuring delicate care is taken on rails, pockets, felt, slate, legs, and all surfaces is a process itself. It’s one that is detail-oriented and very elaborate. These services for delivery and installation can be paired with other offerings too. For extra costs, we can discuss upgrades, adjustments, or refurbishing along the way. As the move itself gets underway, accounting for stairs, ledges, corners, and doorways in advance is what we’re already have planned for. 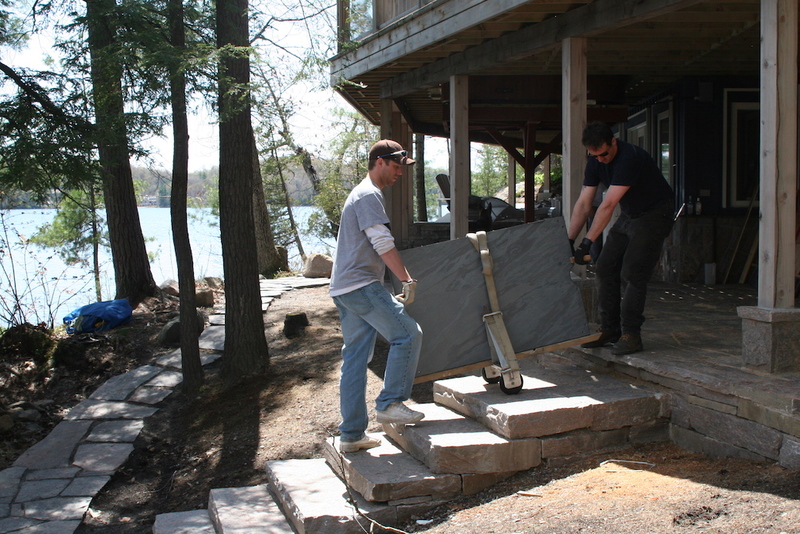 From there, filling slate joints and dialing in precise leveling takes both time and patience. Though we’re eager to work efficiently, this process will not be one that we rush or cut corners on. We’re great at repairing scrapes and damage, but we’re even better at preventing it in the first place. Expect precise and accurate installs and leveling. Ensure you’ve got trained technicians on your side when you need to be moving your table. Wood is organic material that can be affected by changes in heat, environmental humidity, and frequency of use. Why else would servicing and retrofitting be such an important service that we offer? You can expect to get used to the idea that your favourite game will stay the same. On the other hand, you and your table age and change together as one. After a table has moved, it’s always important to ensure laser precision with leveling. Even minor imperfections in the whole balance or structural integrity matter. Uneven table support underneath can alter the entire game on the surface above. It takes quality materials and a meticulous approach to instrument use to get leveling perfect. On top of this, an insatiable appetite for excellence throughout is a must have in our books. From there, we’re not finished until all your questions and concerns are addressed even long after the table has been moved. When every millimeter counts, ensure you have a team supporting you. They should be a team that you can trust to get your table balanced, repaired, moved, or delivered. To be able to do this with as few headaches or worries as possible is our goal. That way, you can focus on the game and entertainment instead – the things that really matter.